Today, NOAA Fisheries announced recommendations to fund 38 projects for almost $9 million under the 2018 Saltonstall-Kennedy Competitive Grants Program. The list of projects fall into four categories: Marine Aquaculture; Adapting to Environmental Changes and Other Long Term Impacts in Marine Ecosystems; Promotion, Development and Marketing; and Territorial Science. For more than 40 years, NOAA has awarded grant funding for projects under the Saltonstall-Kennedy program to individuals, institutions, organizations, and businesses across the country. S-K funds help address the needs of fishing communities, support economic opportunities, and build and maintain resilient and sustainable fisheries. Demand for funding through S-K was high again this year. Initially, NOAA received 517 pre-proposals. Out of that number, 155 full proposals requesting nearly $40 million were reviewed by at least three subject matter experts during the Technical Merit Review phase. 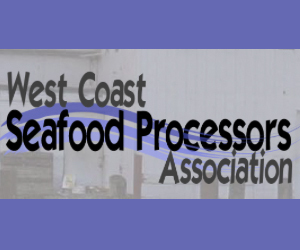 The top 87 scoring proposals advanced to the Constituent Panel Reviews where each proposal was then reviewed and scored by 15 subject matter experts from the fishing industry and community. Based on that, the top 38 proposals have been recommended for 2018 funding. At this point in the selection process, the application approval and recommended funding is not final. Divisions of NOAA and the Department of Commerce, NOAA’s parent agency, must still give final approval before successful applicants receive funding by October 2018. View the list of proposals recommended for funding. View S-K program background information. Apply for FY2019 S-K Grants – OPEN NOW! NOAA Fisheries is pleased to announce that the 2018 Saltonstall-Kennedy Grant competition is currently open. This year’s solicitation consists of two separate submission processes. All interested applicants must submit a two-page pre-proposal to the Federal Funding Opportunity posted at Grants.gov. Pre-proposals are due by October 10, 2017. Applicants interested in submitting a full application after the pre-proposal review process must submit the full application by January 8, 2018. Please visit the Greater Atlantic Regional Fisheries Office’s SK Program web page for more specific application information. Questions? Contact Daniel Namur at dan.namur@noaa.gov, or Susan Olsen at Susan.Olsen@noaa.gov. Today is the start of the fiscal year 2017 Saltonstall-Kennedy (SK) Grant Program application solicitation; now with a new, early “pre-proposal” process that will reduce the burden of preparing full proposals on projects that do not meet program criteria. Pre-proposals will be accepted for 60 days, July 22 through September 20, 2016. To maximize time and familiarity, NOAA Fisheries will conduct at least two public webinars for interested stakeholders to walk through the process and answer any questions. Briefly, the “pre-proposal” process is a required step that will provide applicants with early clarification from NOAA as to the technical merits and relevancy of their project. This new step provides applicants an early indication of their project’s eligibility before going through the more intensive process of developing a full project proposal. In addition to the new “pre-proposal” process, NOAA Fisheries made a number of modifications to the proposal review process in 2016 to improve transparency and participation by external expertise. 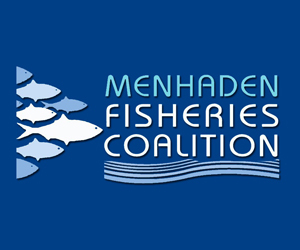 Starting in 2016, the eight fishery management councils and three state marine fishery commissions selected external parties to assist in identifying priority focus areas for funding, as well as serve on the review panel process. Also in 2016, NOAA gave broader consideration to projects focused on sustainable economies, business innovations and opportunities as well as science and research. The 2017 priority focus areas remain the same as 2016 with the additional focus area aimed at improving the quality and quantity of fishery information from the U.S. territories, including American Samoa, Guam, U.S. Virgin Islands, and the Commonwealths of Northern Mariana Islands and Puerto Rico. July 1, 2016 — WASHINGTON — Today, S. 3087, the American Fisheries Advisory Committee Act, introduced by Senators Dan Sullivan (R-AK), Maria Cantwell (D-WA), and Lisa Murkowski (R-AK), passed unanimously out of the Senate Commerce, Science and Transportation Committee. The Saltonstall Kennedy (SK) Act, enacted in 1954, provides funding for fisheries research and development. These funds are derived from a portion of fishery import duties. 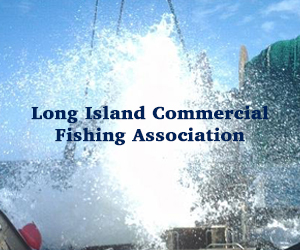 To inform how these funds are allocated, Congress authorized a group of experts from different segments of the fishing industry to advise on commercial fishing problems and needs. Following a 1972 law, the original American Fisheries Advisory Committee was disbanded. As part of the S-K Act, the National Marine Fisheries Service (NMFS) administers a grant program. 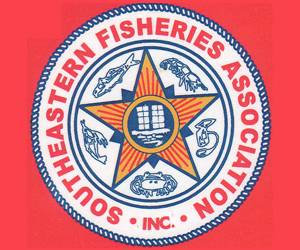 In the Committee’s absence, the National Marine Fisheries Service decides, by its own criteria, who receives grants. 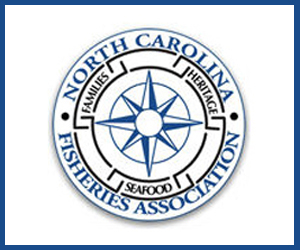 In some cases, the priorities of the fishing industry do not match those of NMFS. 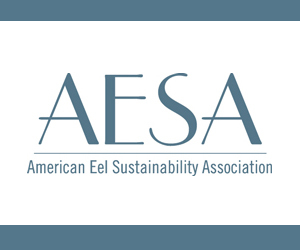 The American Fisheries Advisory Committee Act would bring back the board of experts, with members chosen regionally and across all sectors of the fishing industry, to bring the industry back into the process of identifying needs and funding priorities. In 2016, NMFS issued 50 grants worth $11 million. June 14, 2016 — The National Oceanic and Atmospheric Administration (NOAA) announced its support for more than USD 11 million (EUR 9.8 million) in recommended grants to study or improve the nation’s fisheries as part of its Saltonstall-Kennedy grant competition. The grants, which still must be approved by the NOAA Grants Management Division and the Department of Commerce’s Financial Assistance Law Division, and are contingent upon adequate funding availability, include projects in seven categories: aquaculture, fishery data collection, bycatch reduction, climate change adaptation, marketing, socio-economic research and territorial science. All areas of the United States, including overseas territories, have projects that have been recommended. In Alaska, they include a proposed University of Alaska, Fairbanks study of halibut bycatch management (USD 297,995, EUR 264,877) and an Alaska Department of Fish and Game analysis of pink salmon productivity (USD 249,998, EUR 222,222). June 10, 2016 — BARNSTABLE, Mass. 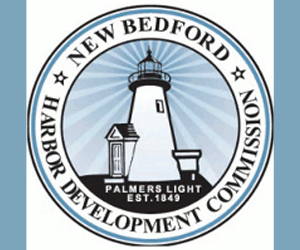 – Several grants will be awarded to regional groups and projects through the Saltonstall-Kennedy grant program to assist the needs of fishing communities. NOAA Fisheries announced 50 projects across the nation that will receive $11 million for projects that will support economic opportunities and build and maintain resilient and sustainable fisheries. The Woods Hole Oceanographic Institution will receive more than $268,000 to model the impact of climate change on larval connectivity and the recruitment of the American lobster off of Southern New England. Over $105,000 will go to the Aquacultural Research Corporation in Dennis to create commercial opportunities by piloting surf clam aquaculture techniques. Interested in applying for a Saltonstall-Kennedy Grant? To find out how, follow the directions below to join us this Thursday, October 22, at 4 pm (Eastern Standard Time). We are hosting this Webinar/Telephone Town Hall to provide an overview of the application process and to answer questions from anyone interested in applying for funding through this grant opportunity.The solicitation for this grant opportunity is open until November 2. On September 4, NOAA Fisheries announced approximately $10 million available to support fisheries projects through the competition. If you have a project in mind, join us on Thursday so we can help you navigate the application process. As part of its efforts to build resilient coastal communities and sustainable marine resources, today, NOAA announced the availability of approximately $10 million in competitive grants through the 2016 Saltonstall-Kennedy Grant Program. The program addresses the needs of fishing communities, and increases opportunities to keep working waterfronts viable by funding fisheries research and development projects. Through this year’s program, emphasis is being placed on rebuilding fish stocks, maintaining and restoring healthy ocean and coastal ecosystems, and promoting the economic vitality of fishery working waterfront communities. The program is also emphasizing community-based projects to help coastal communities retool fishing fleets, shore services and port facilities into sustainable and innovative businesses. The 2016 deadline for proposals is November 2, 2015. Information on eligibility and application requirements can be found at www.grants.gov. 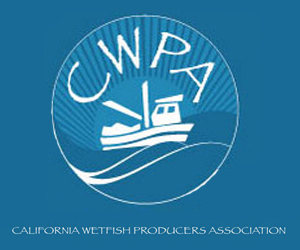 Additional application instructions are available on the NOAA Fisheries website. The Saltonstall-Kennedy Act established a fund used by the Secretary of Commerce to provide grants or cooperative agreements for fisheries research and development projects addressing aspects of U.S. fisheries, including, but not limited to harvesting, processing, marketing and associated business infrastructures. The objective of the Saltonstall-Kennedy Grant Program is to address the needs of the fisheries and fishing communities in optimizing economic benefits by building and maintaining sustainable fisheries and practices. President Dwight Eisenhower signed the Saltonstall-Kennedy Act into law in July 1954, which established the fund and its annual grants. Massachusetts senators Leverett Saltonstall and John F. Kennedy, the future president, authored the Act to promote and market domestic seafood. NOAA Fisheries Chief Eileen Sobeck announced Friday that the agency is recommending funding for 88 marine fisheries research projects via the 2014-2015 Saltonstall-Kennedy (SK) Grant Program. According to the announcement, awards totaling $25 million represent the most significant amount of funding ever granted by NOAA under the decades-old program. The complete list is available at http://www.nmfs.noaa.gov/mb/financial_services/skhome.htm. Check here for a detailed list of Greater Atlantic Region (Maine to North Carolina) projects that, according to Regional Administrator John Bullard, comprised 38 percent of the total awards nationwide. The announcement adds that application approval and funds obligation is not final. Divisions of NOAA and the Department of Commerce, NOAA’s parent agency, must still give final approval for the projects. Successful applicants will receive funding in the near future. June 26, 2015 — WASHINGTON – The National Oceanic and Atmospheric Administration has recommended a dozen Massachusetts-based marine research programs receive funding this year including more than $900,000 for UMass Dartmouth to conduct four projects whose aim is to improve the cost-effectiveness and capacity of programs to observe fish. Some of the money will be used to maximize fishing opportunities and jobs; increase the quality and quantity of domestic seafood; and improve fishery information from U.S. territories. The programs will be conducted through the Saltonstall-Kennedy Grant Program. The Department of Commerce must still sign off on the projects before applicants will receive funding.